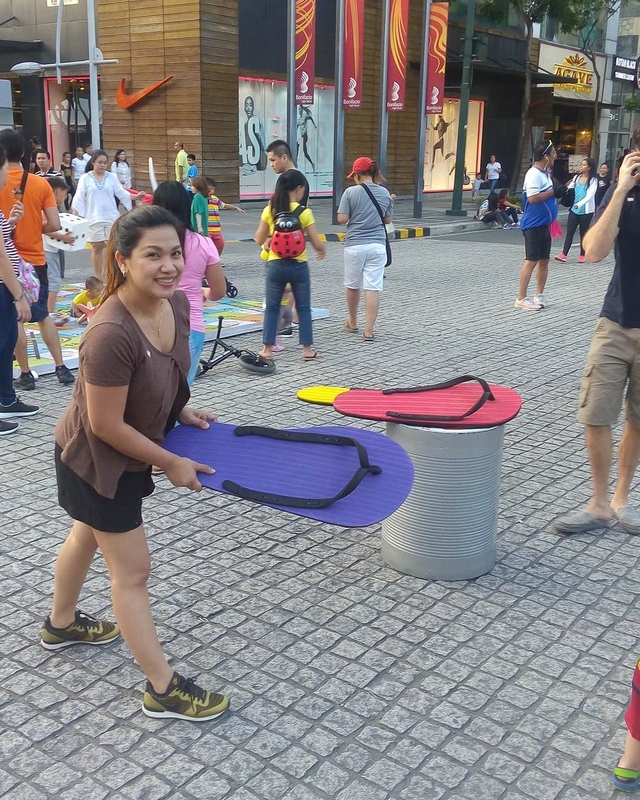 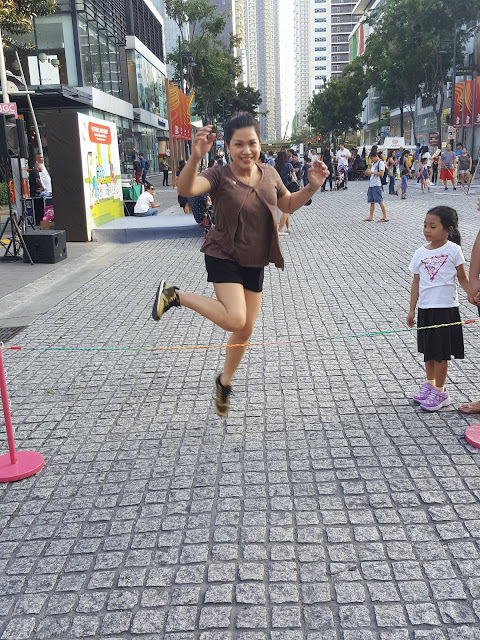 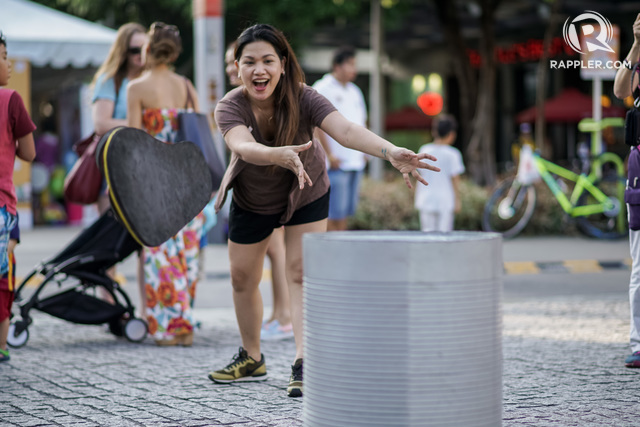 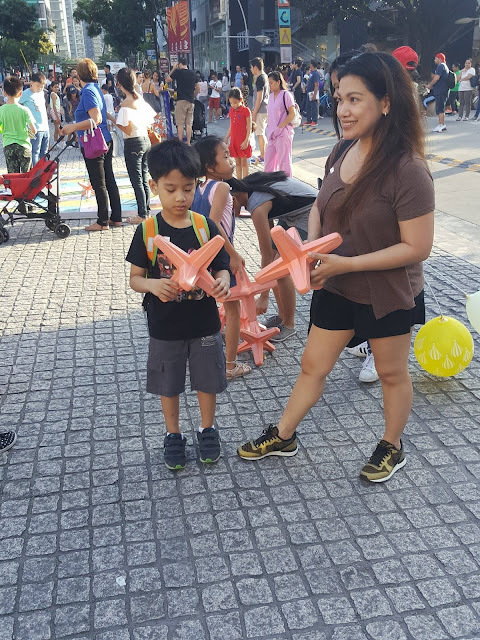 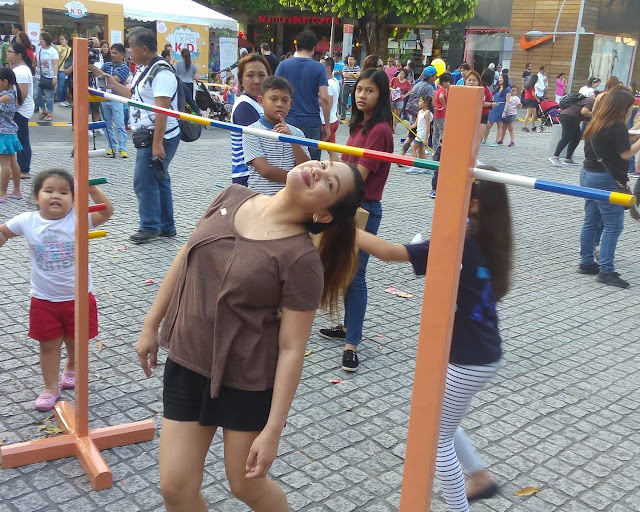 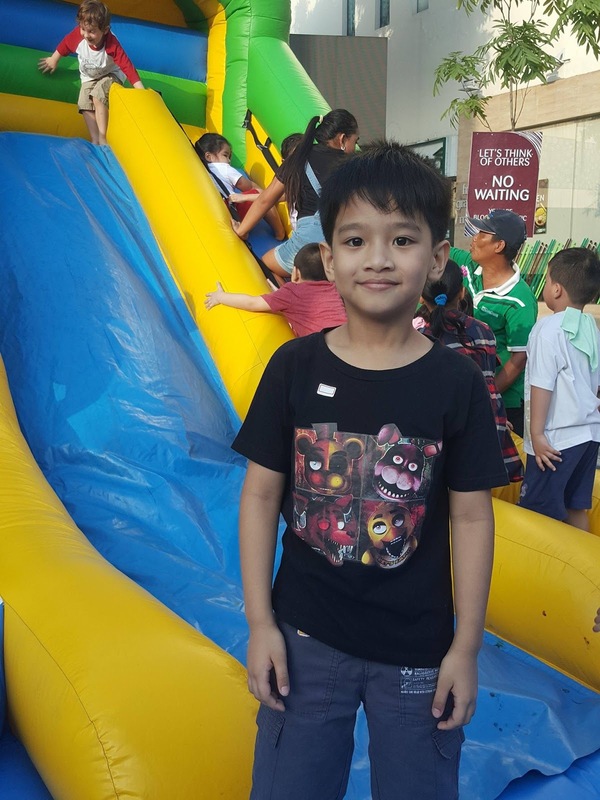 A few weekends ago, my fun childhood memories were brought back in an instant when I came to witness the launch of Bonifacio Global City's My Street, High Street which opened its streets to people to rediscover the thrill of playing outdoors. 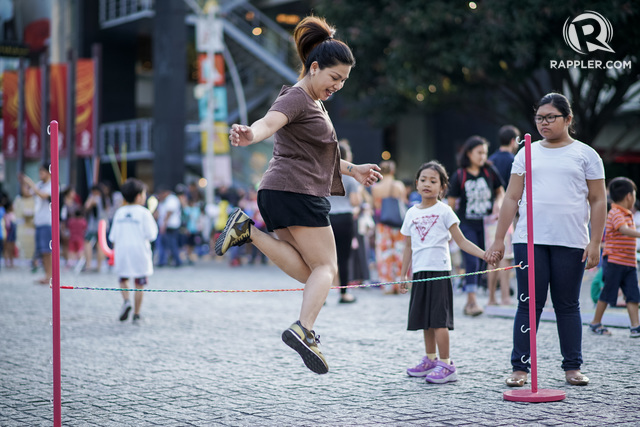 Do you remember how an afternoon felt for you as child, sweaty and even dirty and all, but you came home all smiles because you played with your neighborhood friends in the streets? 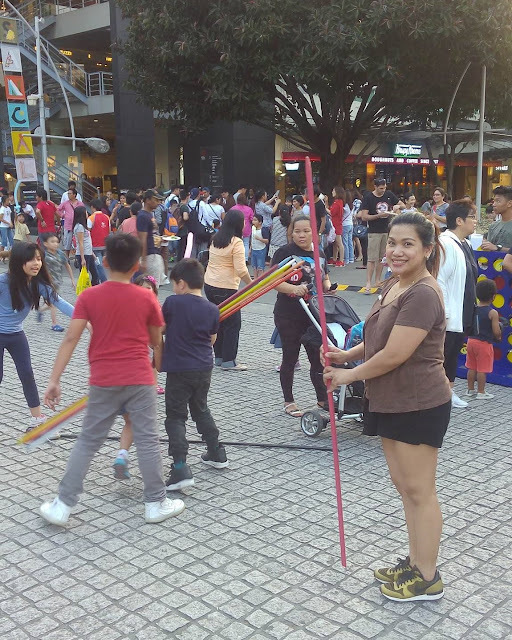 How my husband and I always wished we could let our children experience the same without worrying about cars passing by or ill-intended people posing danger to our children. 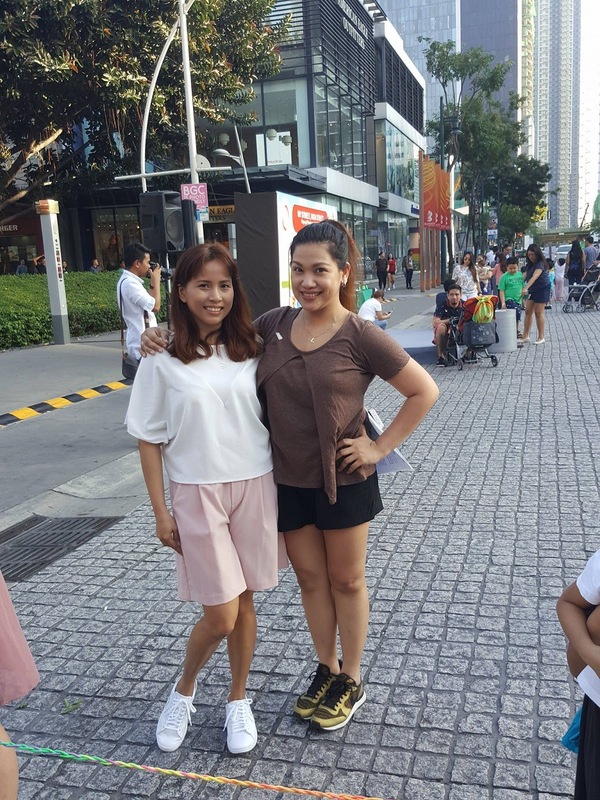 Now we can! 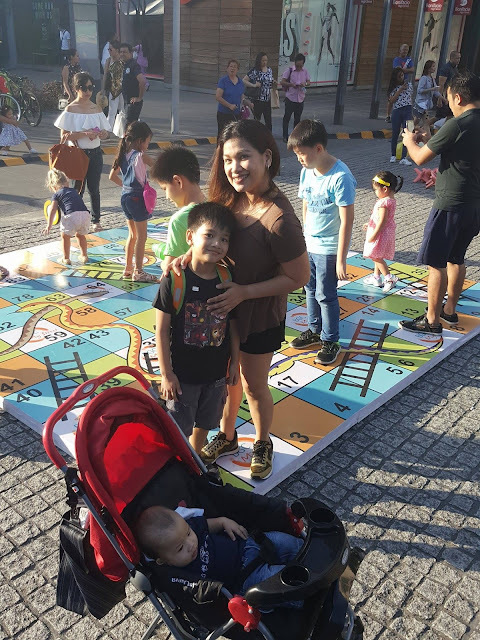 Thanks to BGC who brings us back to a time where the street was the only place where we made friends! 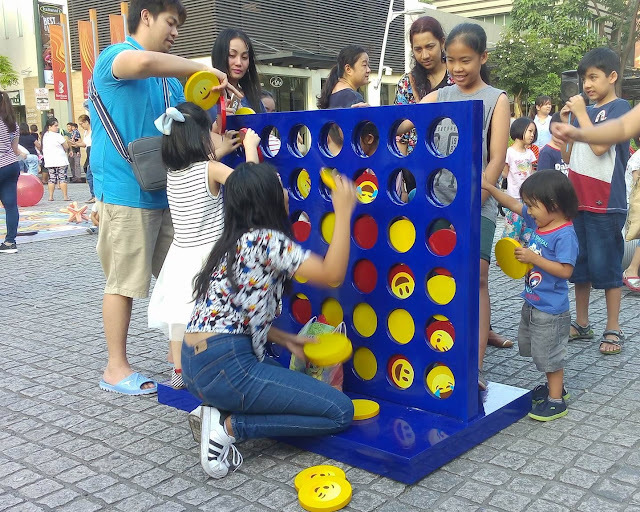 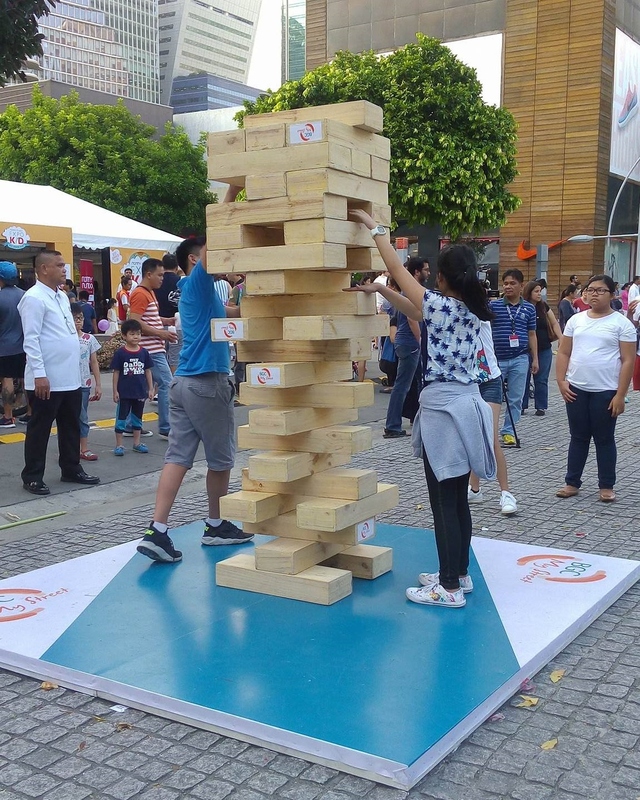 ALL Sundays of the year which beginning March, 9th Avenue will be filled with larger-than-life games which both kids and the kids-at-heart alike will surely enjoy! Bumped into a playmate, Earth! Would've loved to slide with son Wessie too! 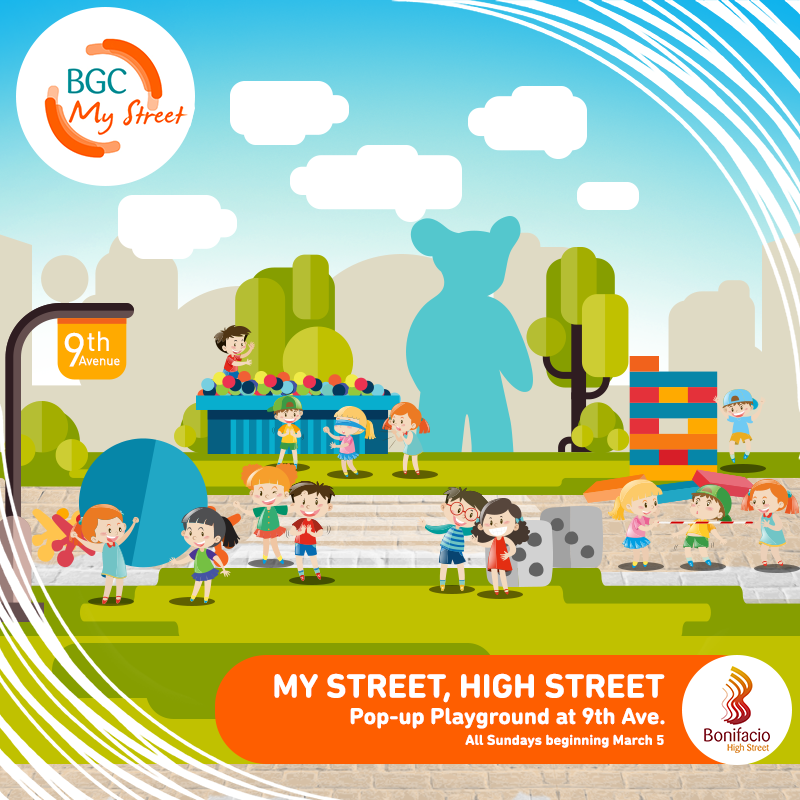 I'm glad that BGC through this program, they are promoting healthy and active street life for our children. 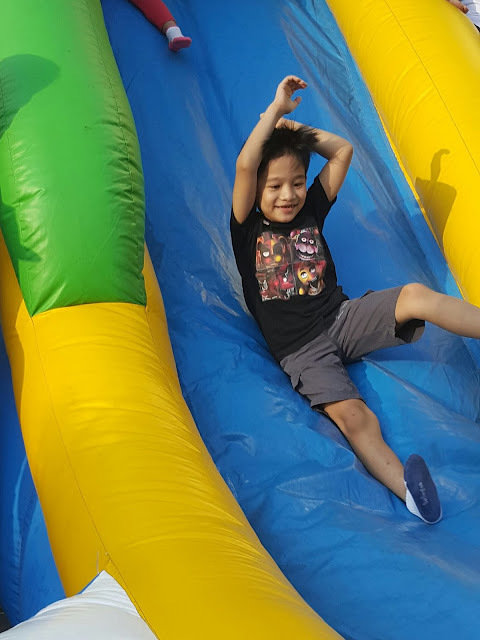 In this digital age where game consoles, social media, and gadgets are everywhere and could instantly catch our children's attentions, I'm a happy parent that BGC knows that having fun in the sun is what will make children more active, learn social skills, build self-confidence, encourage communication, critical thinking, and simply have fun without being too dependent on any gadget.